The Personal Support Counsellor (PSC) is hired to help provide an unforgettable camp experience for campers who require 1:1 supervision. These campers come recommended through Reach for the Rainbow (Reach), an organization dedicated towards the inclusion of all youth in summer camp environments. The PSC should have an interest or experience in working with special needs youth as he/she will be responsible for ensuring a safe and positive camp experience for the assigned camper. Counsellors are the staff members who work most closely with our campers and supervise them in all aspects of camp. Being a Counsellor in any regard requires many different personal and professional skills. Working 1:1 with a camper requires even more patience, responsibility, and discipline skills. This position is detail-oriented in regards to the health, safety, parenting, basic personal care needs and integration of the camper.To maintain a high standard of care, the PSC is also responsible for teaching and enforcing the HOC Principles of Respect to their campers, including safety expectations of camp and general activities. Ensuring that both campers and staff in the section follow proper equipment use and safety regulations is an important part of working at HOC. Attend a regional integration and inclusion training provided by Reach, prior to the commencement of the employment period. Attend further on-site pre-program training provided by Reach, prior to the commencement of the employment period. Read and understand the camper’s needs profile before arrival and during the camp session to identify and plan for the camper’s needs and interests. Complete a parent phone call with assigned camper at least 5 days in advance of the camper’s start date at camp. Meet with parents/guardians upon arrival to camp, to further discuss any concerns and needs of the camper. Act as a 1:1 with the assigned camper, ensuring that the camper’s needs are met, including daily routines, personal care, health needs/medication(s) and assistance to fully participate in the program successfully. Provide direct 1:1 support only when needed to ensure other staff and campers feel they can interact with the camper. Adapt games and activities, where needed, to ensure full camper participation and encourage camp staff and cabin group input whenever possible. Take proper care of any adaptive equipment loaned to HOC by Reach. Encourage social interactions between campers in the section and within camp implementing co-operative activities and games to facilitate this process. Assist fellow Counsellors and Section Heads with a day-to-day program plan for the section and the camper. Allow campers to help plan their participation in daily activities. Participate in activities as required and take a step back when given the opportunity to do so. Act as a contributing member of the Section, addressing other camper behaviour and negative actions when required. Update and maintain a communication log highlighting the camper’s experience, to be provided to the Parents at end of session. Adhere to HOC’s privacy and confidentiality policy. Use person-first language, emphasizing discussion of similarities rather than differences. Refrain from discussions of the camper in from of them or in the presence of other campers. Assist the Administrative Assistant in communicating openly and positively with parents, including on check-in day, and at various times throughout the week. Deal immediately and effectively with teasing, bullying and the use of negative words, etc. Be open to feedback and to follow suggestions from Reach for the Rainbow Staff and HOC Staff regarding participation, integration and inclusion concerns. 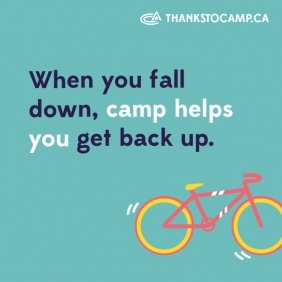 Report and document all incidents and/or accident involving campers supported through HOC’s online form submission pages. Genuine interest in working with children with special needs. Experience teaching and communicating with children of varied ages and abilities. Specific camp experience an asset. Minimum of Bronze Cross swimming qualification (NLS preferred). Must be able to work independently as part of a larger staff team.